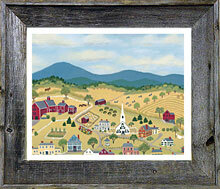 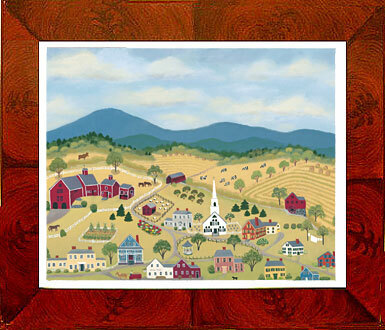 This folk art print, painted by Martha, takes us back to the olden days in Vermont, where they used real horse power! 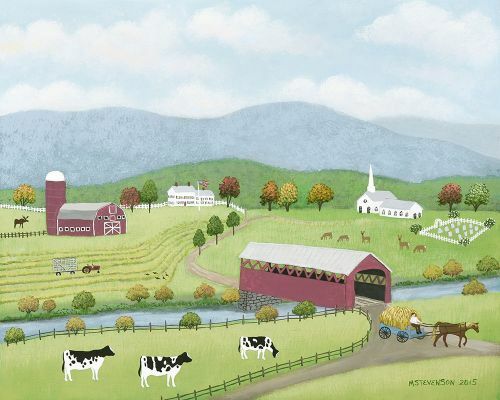 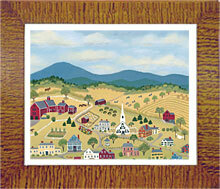 As nostalgic as this painting is, we can still see lots of farm land and cows grazing in beautiful Vermont. 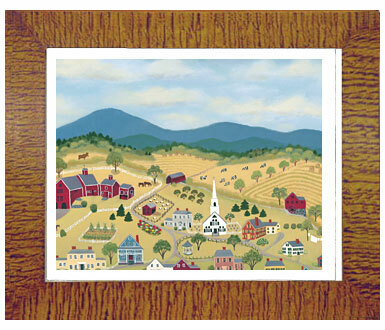 Original print is available.